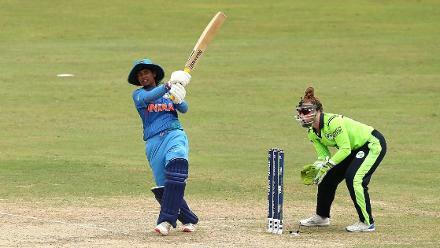 Jemimah Rodrigues broke into the top 15 of the batting rankings for women with her chart-topping feats for India in their 4-0 Twenty20 International series win against hosts Sri Lanka. Rodrigues, who made her international debut in February this year, has after just 14 T20Is sealed the No.14 ranking on the MRF Tyres ICC T20I Rankings for Batters. 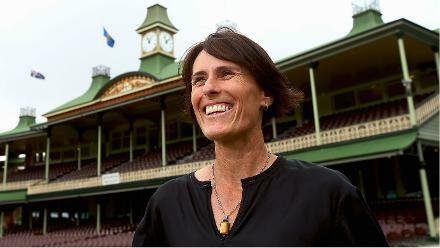 She made 191 runs in four innings in Sri Lanka, for an average of 63.66 and a healthy strike rate of 155.28. Her feats saw her shoot up the rankings by a remarkable 46 places, having accumulated 518 ranking points. 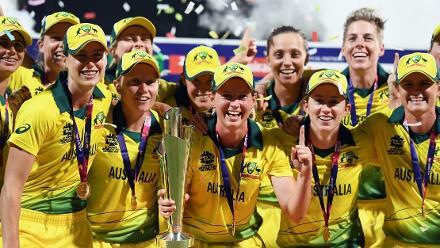 For both teams, the series was an opportunity to finalise their plans for the ICC Women's World T20 2018 in the West Indies in November, and they will both be pleased with the performances of some of their rising stars as well as the big names. India's young guns played winning hands, and this reflected in the rankings. Taniya Bhatia, the wicket-keeper batter, rose 32 places to No.82 on the batting charts, while among bowlers Radha Yadav climbed 56 spots to No.59 and Arundhati Reddy made a debut at 106. Their more experienced all-rounders proved their worth as well. Deepti Sharma is No.31 (up 20) among bowlers and 33 (up 12) among all-rounders. 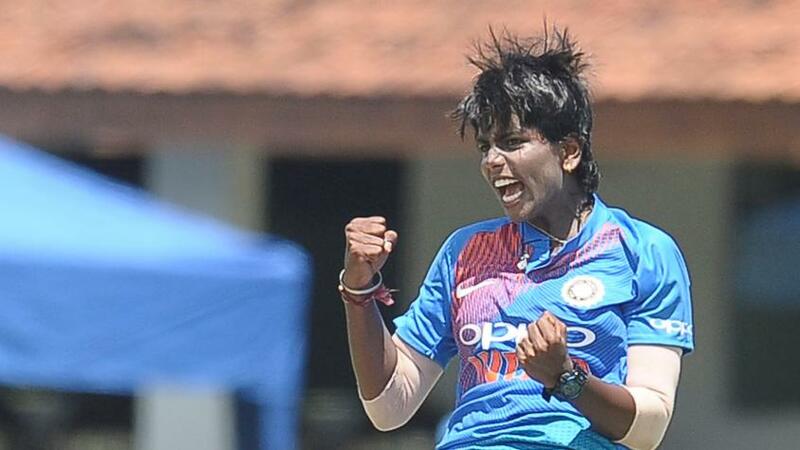 Anuja Patil, who finished the series with five wickets and 99 runs, is now India's best all-rounder in the format at No.12, after also gaining in the batting (up 18 to 37th) and bowling (up two to 15th) charts. Poonam Yadav, the leg-spinner, whose eight wickets in the series helped her overtake Jhulan Goswami as the highest T20I wicket-taker of all time for India, retained her second place in the MRF Tyres ICC Women's T20I Rankings for Bowlers, behind Australia's Megan Schutt. Her 646 ranking points were a career-high for her. Harmanpreet Kaur, whose 63 off 38 balls in the final T20I capped off otherwise modest returns on the tour, climbed up one spot to No.6, displacing her senior Mithali Raj. 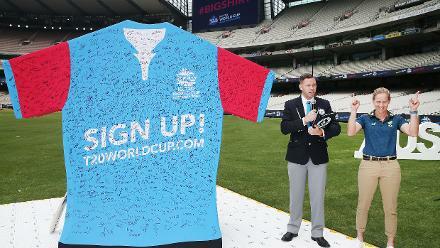 For Sri Lanka, too, their all-rounders made the biggest impact. Captain Chamari Athapathuthu and former captain Shashikala Siriwardene were the top scorers for the hosts, and also their top wicket-takers. 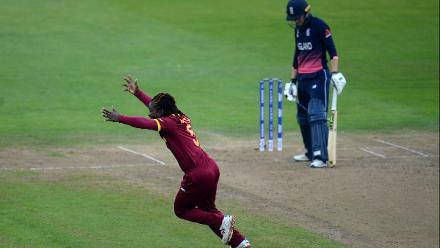 Siriwardene and Athapaththu were 17th and 18th among all-rounders, rising by five and six places respectively. Athapaththu is 27th (up four) on the batting charts and 48th (up 18) among bowlers. Siriwardene, with 101 runs in the series, rose by four to No.41 among batters and 12 to No.24 among bowlers. Among the other gainers were Nilakshi de Silva, who impressed with her fearless hitting to gain 42 spots to be No.91 among batters and 68th among all-rounders, while young Kavisha Dilhari is at No.141. 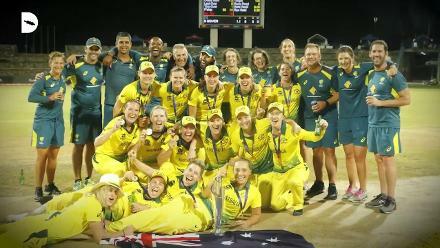 With all of the Windies, South Africa, Australia and New Zealand in action over the next week, the top of the charts could see a lot of movement. 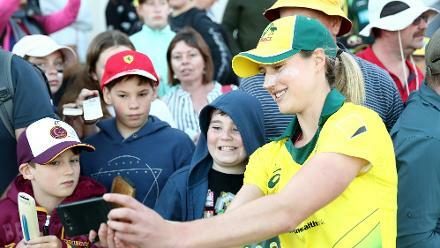 Stafanie Taylor leads Suzie Bates by two points among batters, while Hayley Matthews leads her teammates Taylor and Dottin on the all-rounders' rankings.